Santa Maria di Castellabate is part of Cilento National Park, which in 1998 was declared World Heritage Site by UNESCO. This popular tourist town has won several awards such as the FEE “Blue Flag”, the “Green Flag”, “The most beautiful villages in Italy”, “Jewel of Italy”, the Blue Guide “4 Sails”, and Legambiente “The most beautiful is you”. Preserved from mass tourism, it is an elite place characterized by aristocratic palaces which alternates to the typical seafaring houses of fishermen that overlook the crystal clear sea. Its coastline, that alternates wide, sandy beaches and rocky reefs, is characterized by a rich Mediterranean flora, making Santa Maria di Castellabate an ideal seaside resort. 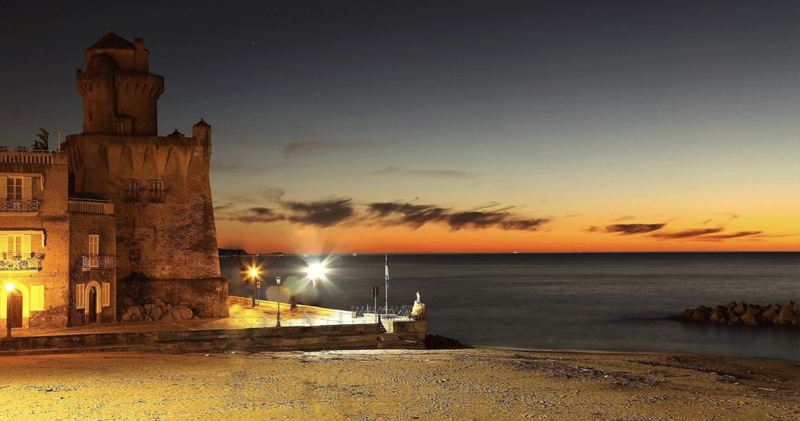 The town has been recognized marine protected reserve with one of the cleanest and beautiful seas in the Mediterranean. It also demonstrates the quality of tourism services in the Cilento. The fascinating scenario is completed by the extraordinary beauty and the crystal clear sea of the protected marine reserve of Licosa Island. The island is easily reachable either by boat or through a nature trail along the sea, characterized by Aleppo pines, carob trees, vines, olive trees and Mediterranean bushes, that allows you to enjoy the beauty of the natural park. Santa Maria di Castellabate is just 15 minutes far from the medieval hilltop village of Castellabate, a place of great historical and cultural interest, which, over the centuries, was occupied by the Normans, Saracens, Byzantines, Spanish and French. The castle, the Papal Basilica, the 13th Century bell tower, the narrow streets surrounded by medieval buildings and patrician houses are the main historical attractions of this charming town that hosted celebrities such as Ruggero Leoncavallo and Gioacchino Murat. Santa Maria di Castellabate, a real piece of heaven on earth with its crystal clear waters, the colors of nature, the characteristic alleys and the flavors of the traditional Cilento’s cuisine, will give you unique emotions for an ideal and relaxing holiday.